Jam with That Pearl? Yes, Please! 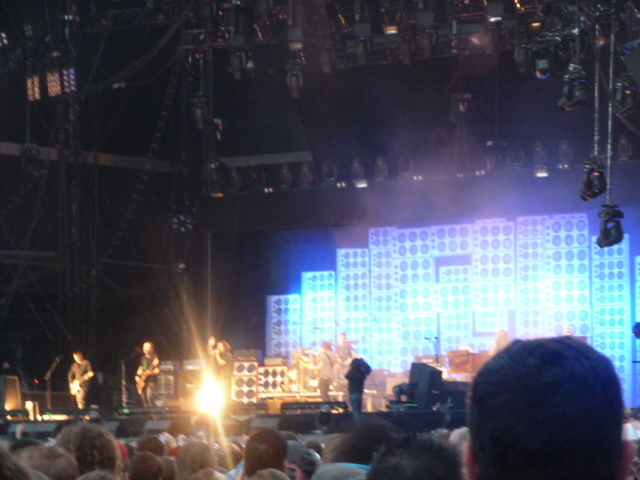 I told you recently, Gentle Readers, that as Pearl Jam’s Number One Fan in the Universe, I had the obligation to go see them when they came to Arras, France for the Main Square Festival. Norm and I drove to Arras. 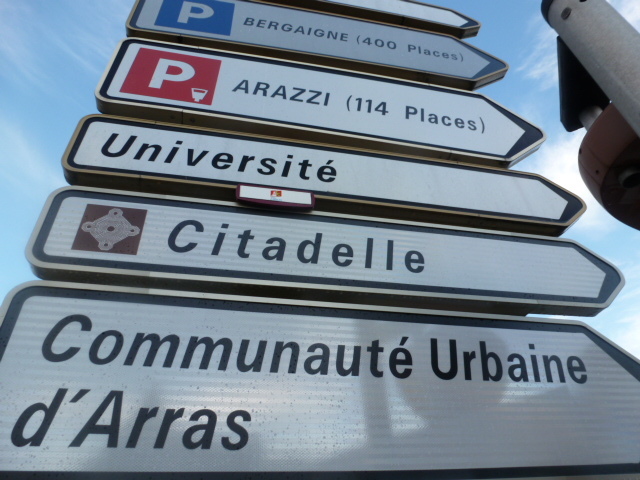 We were looking for La Citadelle, where the concert was to take place. Norm parked the car; then we walked until we got to the entrance of the square. Actually, Norm walked; I skipped. I couldn’t contain myself and got ahead of Norm. I suppose he took this photo to show to the police when I got lost. The quintessentially French cobblestone streets soon morphed into a quagmire of mud. 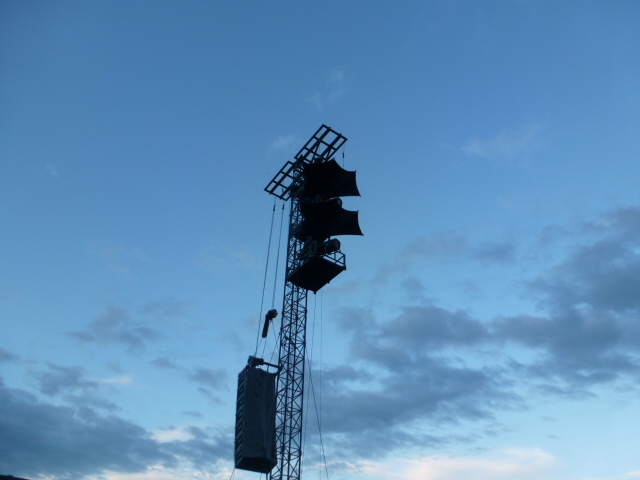 and it remained away until after they had finished playing their set. 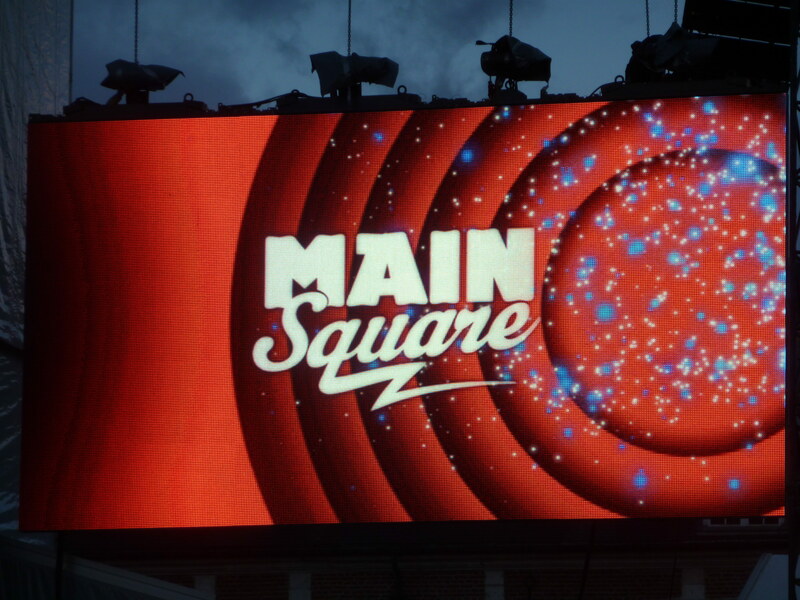 As we were waiting for the show to start, I took a look around the square. Of course, I noticed an unobtrusive church and just had to take a picture. 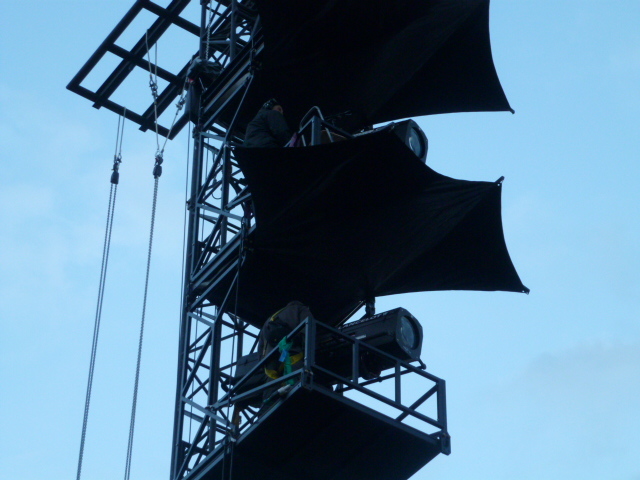 …the crew began to prepare for the show. 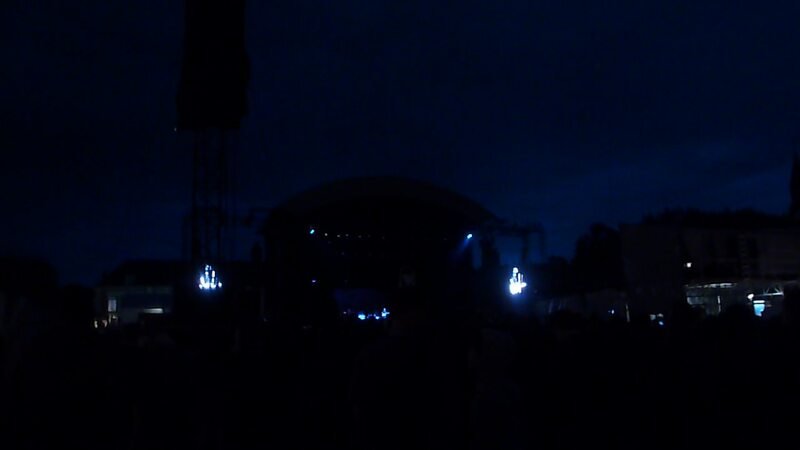 Then the show began. What can I say about the music? How can I tell you anything about what this music is to my soul? No, music cannot be explained; it must be heard, felt, absorbed. The music settled on my core, though it had always been there. I can no more put into words the facets of Pearl Jam’s music than I could the colors of my soul. ….except the music and the soul. Glad you had such a good time, and thanks for sharing it.